Oscar Bravo Home: Is Your Home Decor Style Eclectic? "Eclecticism is a conceptual approach that does not hold rigidly to a single paradigm or set of assumptions, but instead draws upon multiple theories, styles, or ideas to gain complementary insights into a subject, or applies different theories in particular cases." I never do well with rigid rules or confinement. I thrive on change, I love trying new things. I love the unexpected and having creative freedom. I like to learn from different sources. I love listening to different points of views about a subject. I appreciate all the beauty around me and all the different styles so much that I get scatter-brained and just want to incorporate all that love into my home. 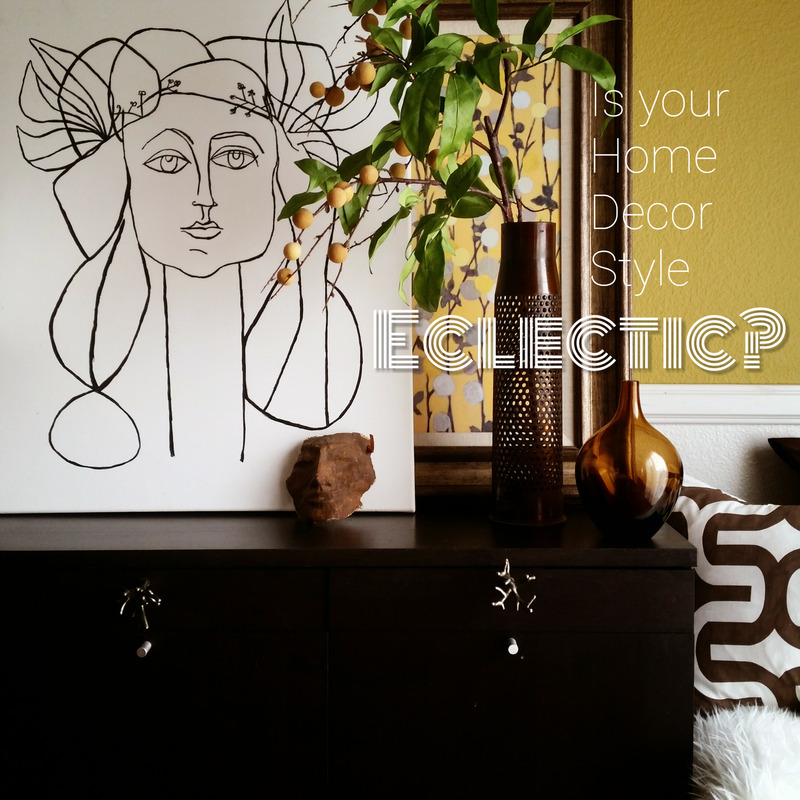 If that sounds like you, then maybe your style is Eclectic! Some might think that an eclectic style is NO style and that it's just a mix of whatever tickles your fancy thrown into a room without any thought. This is totally wrong! Pulling off an eclectic style requires intention. It takes an artistic approach to combine things thoughtfully and beautifully. Eclectic people think about the juxtaposition of things; light and dark, shiny and dull, rough and smooth, playful and serious. These artistic people combine these contrasts and create harmony in a room by bringing them together using color, pattern and scale. The end product is a one-of-a-kind "collected" look where the space feels like it has been decorated over time with found treasures. 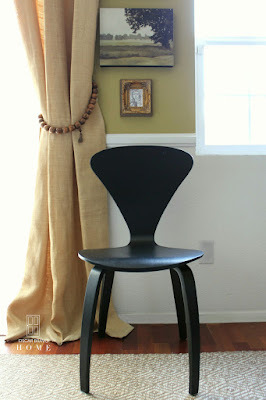 I'm sharing pictures of some of my favorite eclectic spaces for your viewing pleasure and a few of my own pictures too. At the end of this post I included some ideas on a moodboard that I created using some cool eclectic pieces from Lexmod Furniture. 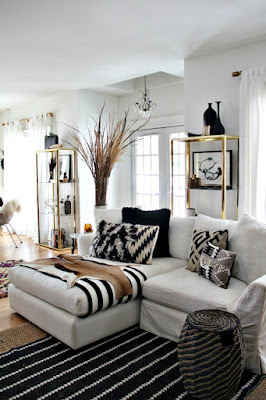 I love how Brynne from The Gathered Home styled her living room. The black and white is repeated in the pillows and piping on the chairs and a bit in the leopard print rug. The gold table is balanced with the gold lamp. The AMAZING malachite drapes are both gorgeous and unexpected. Are you DEAD?! I am LOVING the pop of neon pink in this neutral living room! Talk about the unexpected! This girl, Jennifer is the epitome of eclectic style. 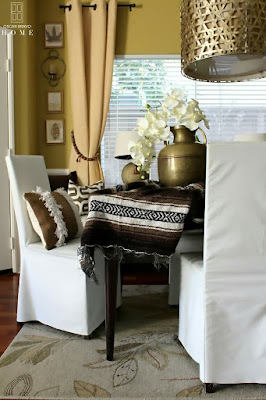 I love all the layers of textures she adds to her spaces for a "bohemian" look. 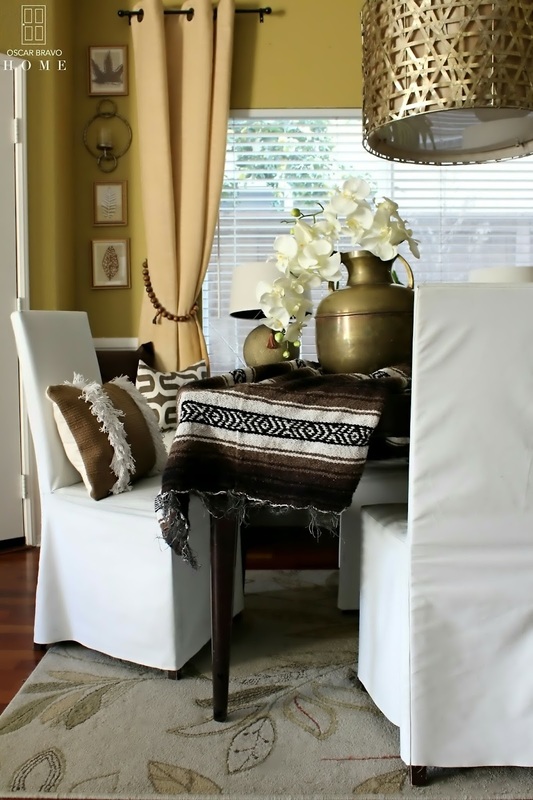 Jennifer keeps her love of textiles in check by keeping a cohesive color scheme of black and white. I tend to gravitate to a monochromatic color scheme but keep things interesting with pattern, texture and a mix of earthy and contemporary. Here, on my moodboard I did the same. I used earth tones of brick, nutmeg, sand and black to keep the diverse pieces feeling like they belonged together. By the way, if you have never made a moodboard I recommend you do. A moodboard is a great way to visualize a space and to keep you focused on what the look you are trying to achieve. If you ever feel like you just can't pinpoint your style and need a bit of direction, remember that mixing styles makes for an interesting room with personality. Just tie it all together using scale and color. Above all, just give yourself the freedom to introduce pieces into your home because you love them. 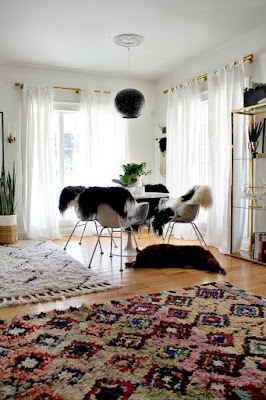 For more eclectic inspiration please check out Haneen's post on Eclectic style and brows through her gorgeous home pics on her blog at Haneens Haven . Love it, Oscar! We think so much alike! Hahahaha..."are you dead"?......great post Oscar! Great article! I love it :) Great information and I was cracking up with the "are you dead?" comment too! I read your article, It was very nice. Thanks for sharing.